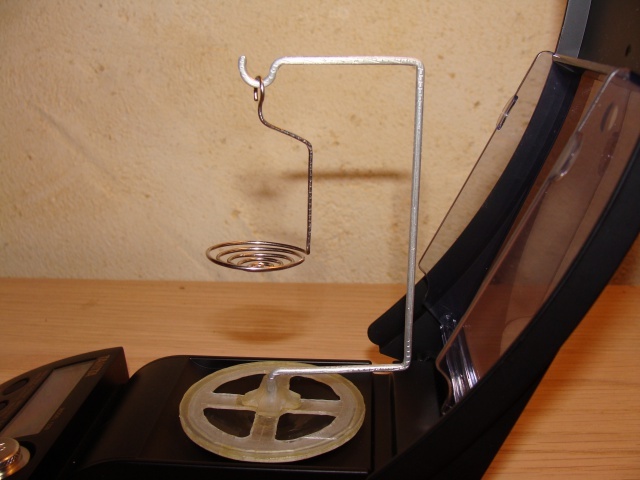 1) Method number one: the gallow that holds the basket sits on the scale weighing tray, but the glass of water doesn't makes any contact with the tray. Commercially available SG kits are based on this method (and the kit I have built myself is also based on this method). Let's note that with this method, stability and good balance of the stand (gallow+basket) are important factors so to get accurate readings, so you really need to build things properly. 2) Method number two: the glass of water sits on the scale weighing tray, but the gallow that holds the basket doesn't make any contact with the tray (also make sure the gallow and basket are not making any contact with the glass). No commercial kits are based on this method, but you can easily build one yourself. However, this method requires a high capacity scale, and yields less accurate SG measurements for smaller stones (which is why method.1 is best). On the other hand, when using this method, accuracy shouldn't suffer much from a somewhat approximative shaping of the stand. NOTE: in both settings (method.1 and method.2), for more accurate SG results, the basket part has to be made of very thin wire (1mm thick). Also, in method.1 you will get more accurate SG results if not using a narrow diameter glass (better use a large diameter glass), while in method.2 you would want to save some scale capacity by using a light glass made of plastic. As said previously, Method number one is best, so the following tutorial will explain how to build an SG kit based on that method. I own both a Tanita 1230 scale (20x0.002g) and a Tanita 1579D scale (200x0.01g), so I've been working on a small specific gravity kit that would fit both models, however I think this SG kit design should actually fit most existing scales. First I built a base out of plexiglass (pmma) that can fit both models. 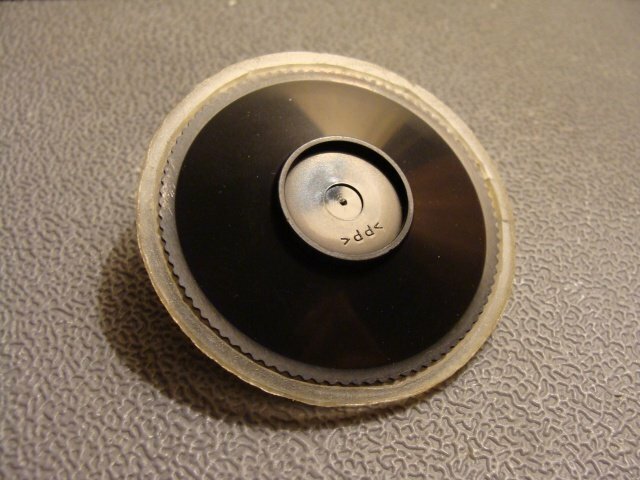 The circular base is 5cm diameter, and weighs only 2.6g. 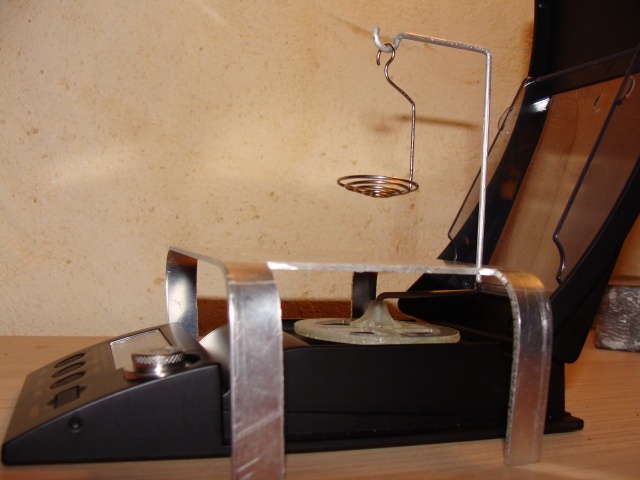 Once the base has been made, one has to build the weighing stand. This part is made up of two separate elements: a gallow shaped stand, and a basket (hanging to the gallow). One will need a vise and small pointed pliers to build these. 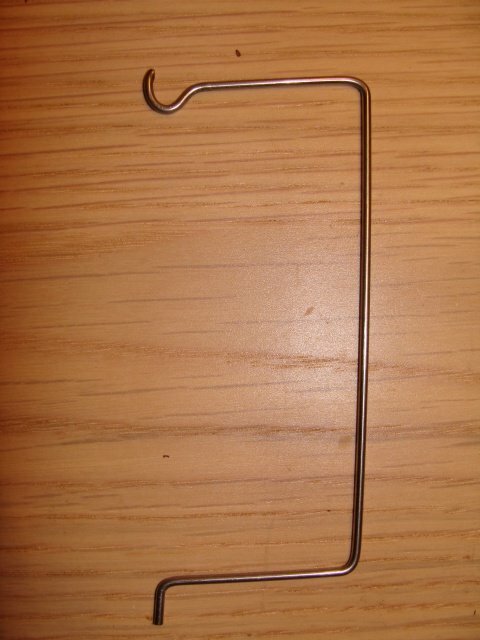 ->the first is intended for the milligram scale (thus it is made very lightweight): the gallow is made of 2mm thick duraluminium wire, and the basket is made of 1mm thick non-magnetic stainless steel wire. 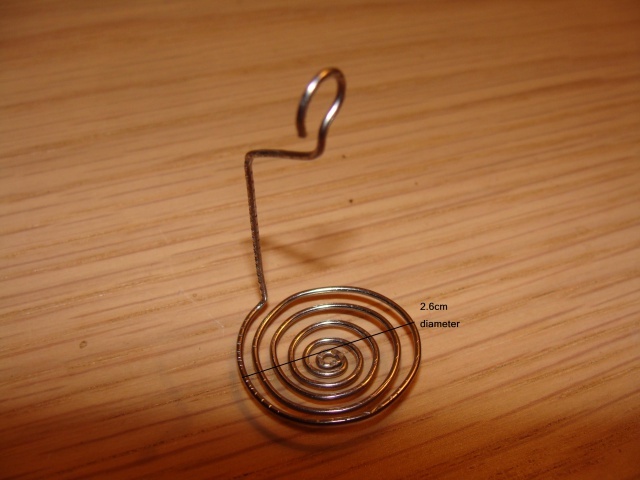 ->the second is intended for 0.01g scale (it is bigger and more sturdy, but also heavier): the gallow is made of 2mm thick non-magnetic stainless steel wire, and the basket is made of 1mm thick non-magnetic stainless steel wire. Please note that duraluminium is a light weight and non-magnetic aluminium alloy which is more rigid than common aluminium. 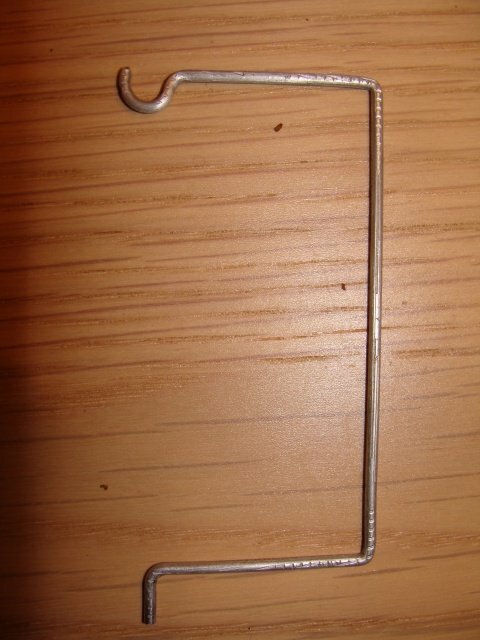 Also, concerning stainless steel wire, one must check it with a magnet to make sure it is of the non-magnetic kind. it is 12cm high and as you can see maximum sample size would be about 4x4x4cm. Total weight of the SG kit: 10.4g. 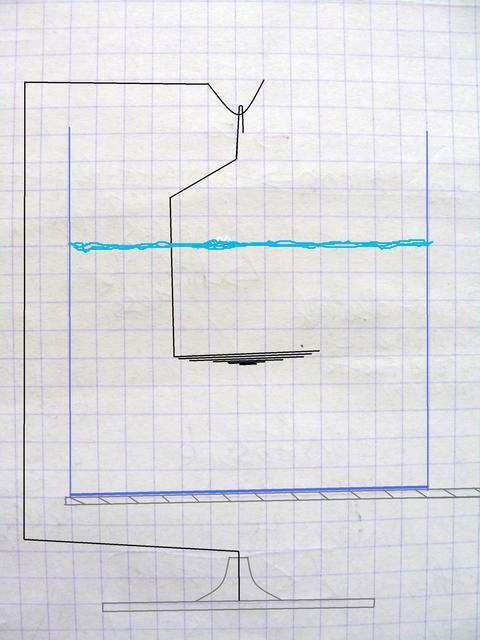 Please note that in both diagrams, the gray hatched thing under the glass of water is a duraluminium support (it is supporting the glass, considering that the glass should not make any contact with the scale weighing tray). This duraluminium support was made made out of a 1,5mm thick duraluminium sheet (mostly because it non-magnetic, lightweight and sturdy). Place the scale on a stable flat horizontal surface, away from vibrations and away from air drafts (milligram scales are sensitive to air drafts). If the scale had been unused for a long time, or if you've been moving the scale around (which is likely for a pocket carry scale), then you first need to calibrate it (with proper calibration weight). At that point, weight the stone on the scale (that measurement is the weight in air). Then you need a colorless transparent glass filled with distilled water. 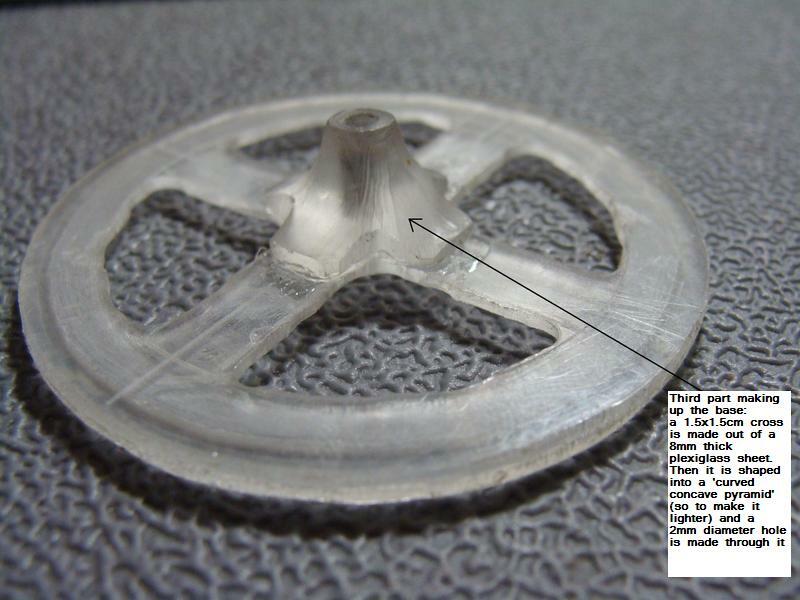 With this SG setting (based on method.1), for more accurate SG measurements, do not use a narrow diameter glass (better use a large diameter glass). 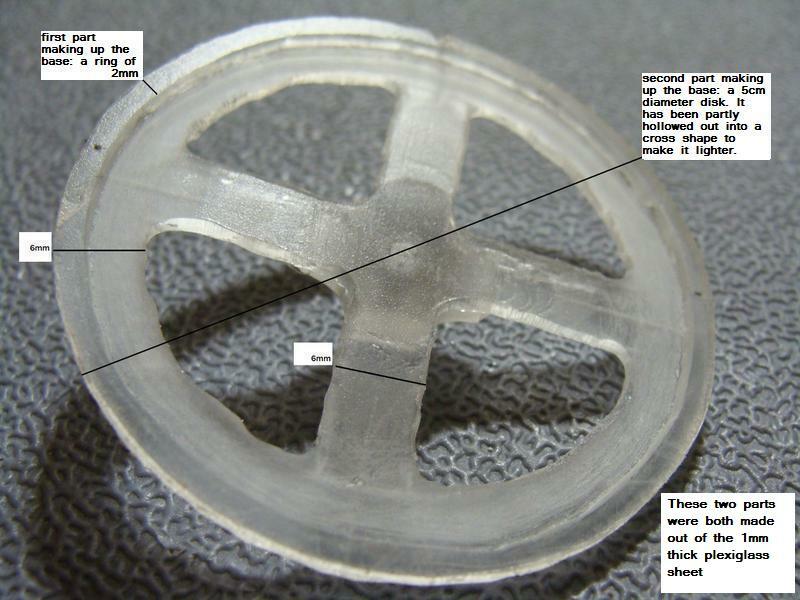 The glass of water will be supported by a duraluminium support (which is made out of a 1,5mm thick duraluminium sheet). You have to position the SG kit on the scale making sure that the kit is not making any contact with the glass nor with supporting duraluminium tray, nor with the sides of the scale body. Once the SG kit is set on the scale (with basket immersed in water), one must tare the scale. To place the stones on the sg kit, it's best to use non-magnetic tweezers (I use titanium tweezers). Make sure the stone is completely immersed in water, and make sure there are no air bubbles stuck to the basket or stuck to the stone. At that point read the weight of the stone immersed in water. 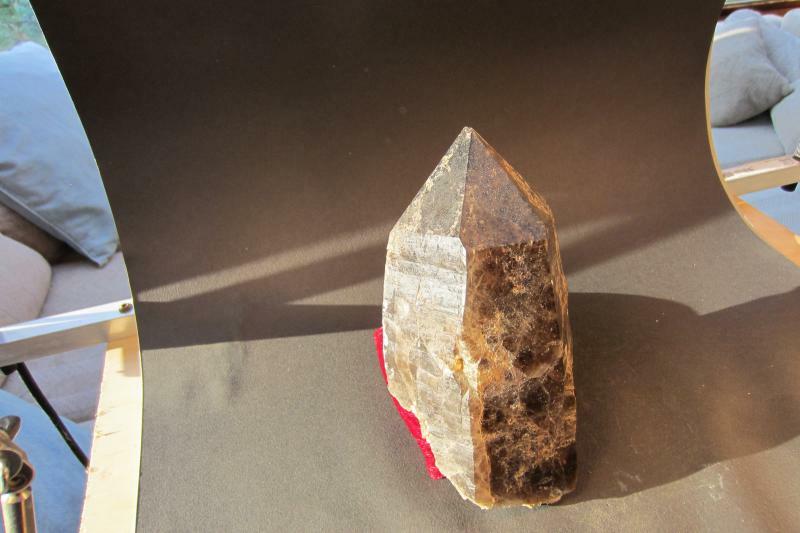 Actually, for optimal accuracy I'd suggest to stick to the milligram scale as long as the scale capacity is enough for the stone. 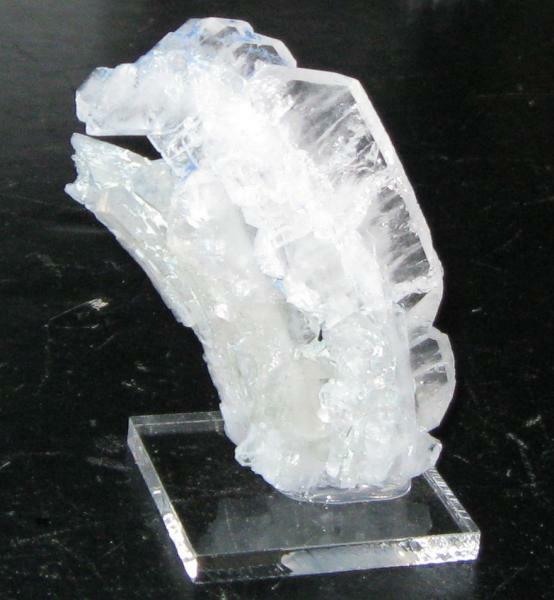 When using a 0.002g scale (such as Tanita 1230) with the described SG kit setting, theoretically maximum error for a 0.6g stone with sg of 2 should be 1%, while maximum error for a 0.6g stone with sg of 5 should be 3%. When using a 0.001g scale with the described SG kit setting, theoretically maximum error for a 0.3g stone with sg of 2 should be 1%, while maximum error for a 0.3g stone with sg of 5 should be 3%. Advantages of my kit design: simple multipurpose design, easily made yourself for cheap, small sized, light weight (for higher capacity), and can be dismantled for easy carry. This SG kit design should fit most existing scales. This setting yields accurate SG results even for smaller stones (when using the milligram scale). Drawbacks: the kit I built uses a single-legged gallow, however if you don't care about portability, then a three-legged design is an even better way to go. 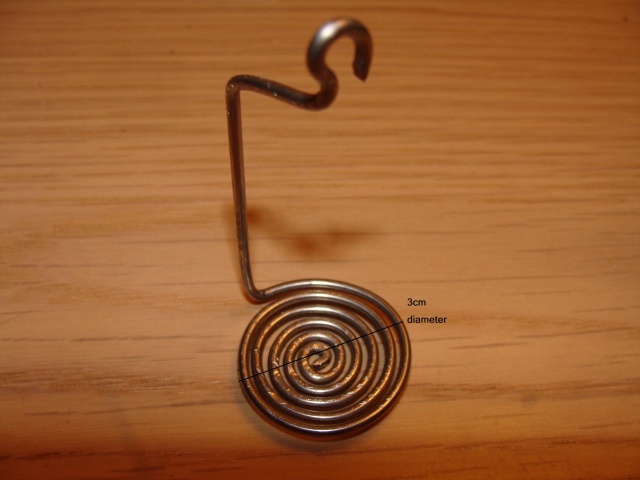 Indeed, a single-legged gallow might create a turning moment in the base, so that the scale might think that the weight is placed on one side of the pan, which may introduce some error in the readings. That is why professional SG kits usually rely on a three-legged design for the stand, which is a bit more bulky but allows one to achieve uniform repartition of weight on the scale weighing tray (thus ensuring better accuracy of the readings). 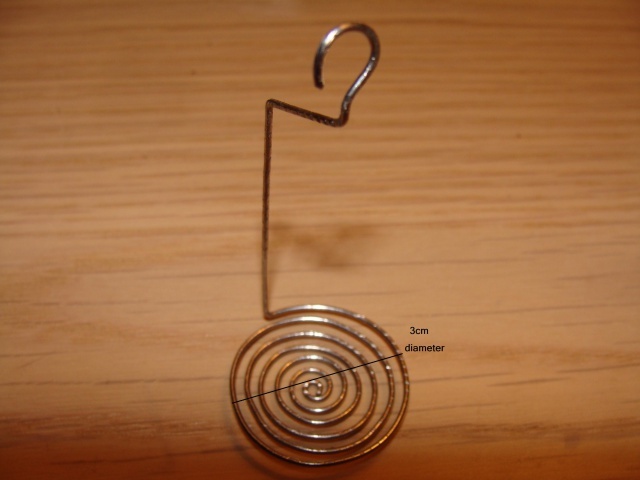 Let's note that you can still build such a three-legged kit yourself (using 1mm thick non-magnetic stainless steel wire for building the three-legged gallow as well as for building the basket). This also means that, whatever you build (single-legged or three-legged stand), it is very important to apply yourself in building it properly so it is as stable and as well-balanced as possible. 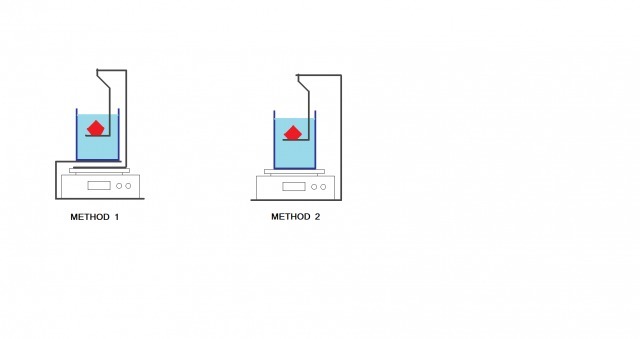 Now, if you don't yet have a specific gravity kit, or if your specimen is too big to fit your kit, then you can use the suspension technique, which is a simplified version of method.2 that doesn't require building anything, but it's not appropriate for smaller stones. With this technique, beware that using very very thin line is essential to get accurate SG measurements. Using a milligram scale is irrelevant here. 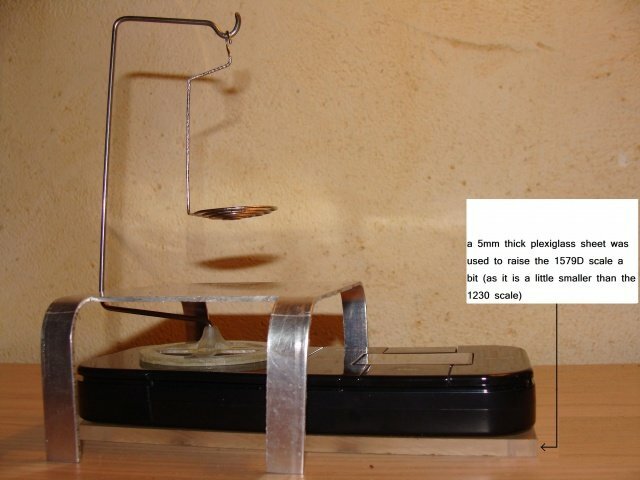 But with a 0.01g scale, the suspension technique can be used for measuring specific gravity of any stone which is at least 3g, provided that the fishing line is 0.1mm thick or less (the thinner the better!). Alternatively, one could use a 0.1g scale if the stone is at least 30g (but for more accurate results I'd suggest to stick to a 0.01g scale). 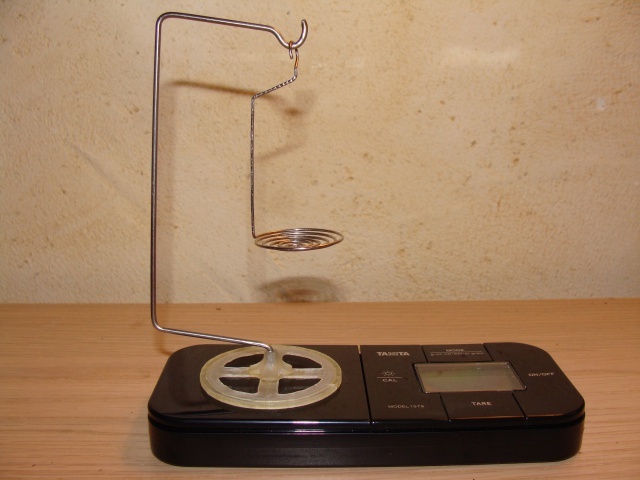 -Then, fill a plastic glass with distilled water, place it on the scale and tare the scale. -Tie the stone with some fishing line. 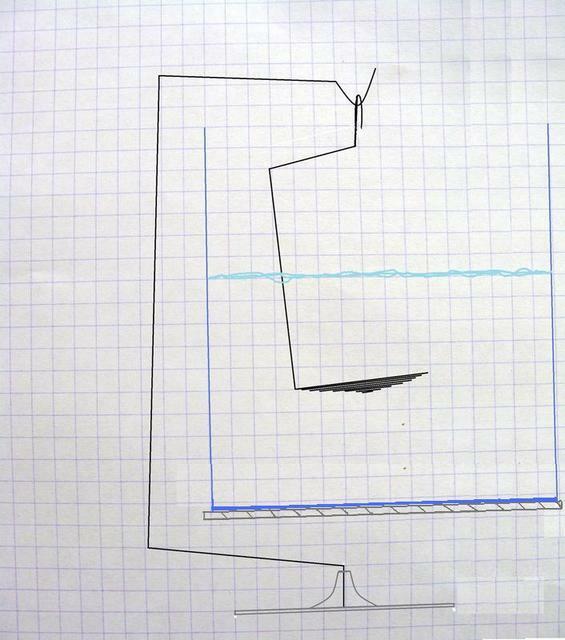 As the immersed line volume will introduce an error, you want to minimize this error by using very thin line, but also by managing to tie the stone with as little line length as possible. 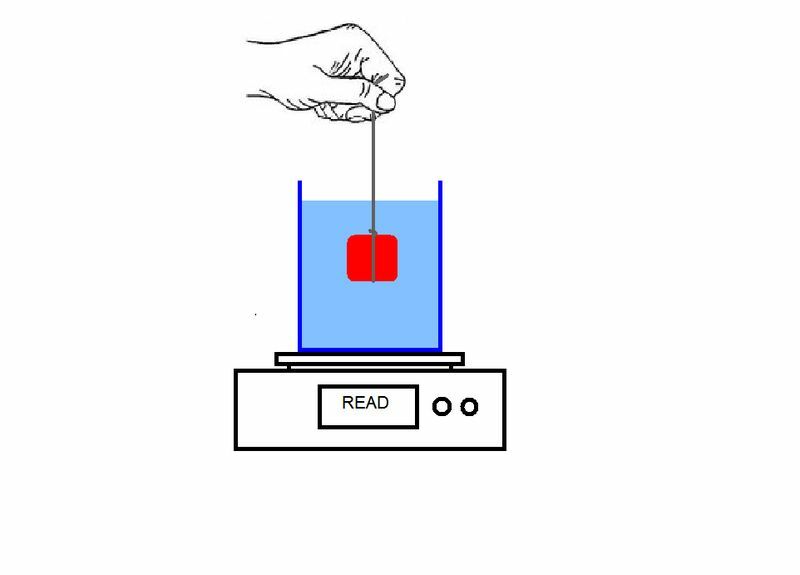 -Holding the line with your fingers, suspend the stone in water so the stone is completely immersed but not making any contact with the glass itself (also, don't immerse the stone deeper than 2cm under water). Also make sure there are no air bubbles stuck to the fishing line or stuck to the stone. At this point read the weight on the scale. iv) convert this volume measurement to cubic centimeters. 2) Weigh the specimen. Convert this weight to grams.